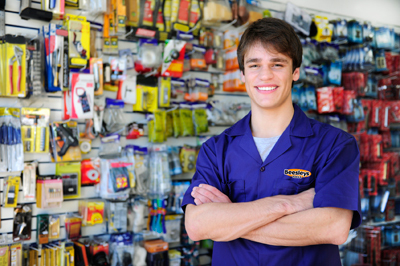 Power tools, hand tools, sales and repairs at Tool-Shop.co.uk. Tools for the trade including carpenters, electricians, technicians, plumbers, joiners, jewellers, crafters, and hobbyists. Welcome to the Beesleys Tools web shop where you'll find a wide array of power tools, hand tools, multitools, bits, accessories and attachments to purchase online, by phone or in store. Since 1932, Beesleys have been selling and repairing quality tools, accessories and consumables to the trade and public. Based in Swindon, Wiltshire, our history is intertwined with the Great Western Railway (GWR) going back several generations. We sell and repair most makes of power tools including Makita, Dremel, Fein, Proxxon, Stanley, Bosch, Panasonic, Festool, Trend, Stabila, VetoProPac and many more. Buy one of the great range of Veto bags (except MC, MC CAMO, TOTE BAGS and POUCHES) and claim a free TP4B pouch worth £70! For over 20 years Beesleys have been selling and servicing the fine range of tools from Makita.